The Radiohead solo album delivers what it didn't know it promised. Looking back, Radiohead's career path follows a completely standard line. The first single suggesting one-hit-wonder until the album proved to be better than expected; the sophomore disc showing an enormous leap; for disc three -- supporting the old rumor that this is when bands really hit their stride -- diving into experimentation and reaching the pinnacle of their art; then a turn alienating some fans as the band takes on electronics, art, and even the "prog" label more fully; then, finally, returning to rock with a competent, pleasing album. As typical as that biographical arc looks, it doesn't suggest the surprise that came with each new development, at least through the release of Kid A. 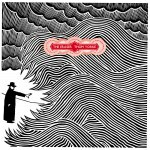 The shock here: in stepping out for his first solo album, Thom Yorke has created exactly the album we were anticipating. The Eraser relies primarily on "beats & electronics", as Yorke says. More than ever before, he uses his vocals effectively as an instrument and provides a clarity in both delivery and lyrical content that's been obscured or lacking on a consistent basis. Even if the music's what's expected, Yorke hasn't lost the ability to be unsettling. "Skip Divided" -- a track likely to split fans due to its overly basic production and talking-late-at-night vocals -- sounds like Halloween in Antarctica. Yorke's narrator, insinuating the pretense of love between stalker whispers, reveals himself to be losing it, interrupting his own thoughts: "The devil may... hey, hey. Hey, hey!" He disintegrates further in the presence of his not-beloved. He opens us to the possibility of blinding love ("When you walk in a room, everything disappears") and immediately turns it into a destructive fixation ("When you walk in a room, it's a terrible mess"). Vocals turn to stream-of-consciousness lyrics as he confesses to being "your lap dog." On a precisely done song in the exact center of a precisely done album, it's a jarring dismantling of a psycho-romantic psyche. None of the other tracks reach this level of spookiness, but The Eraser maintains a consistent tone throughout. In that sense, it offers side project work at its best. Yorke, without wasting time (nine tracks, 40 minutes) or over-indulging, explores a side of music that fans have seen his band increasingly interested in. Think "Idioteque" and go from there. These words will likely come to mind: icy, atmospheric, and, possibly, direct. Yorke and producer Nigel Godrich aren't "expanding palettes" or "pushing boundaries" or doing any of those things that Rock Heroes tend to think they ought to (with no instigation from the press). Instead, they're merely making engaging electronic music with lyrics that prove to be more affecting with each listen. The album achieves a lyrical high point on "Harrowdown Hill". Yorke sings, "We think the same things at the same time / We just can't do anything about it / So don't ask me, ask the Ministry." He pins an odd meditation on phrases that could be read as thoughts on romance, politics, or spirituality, and these threads play out in various ways on repeated listens, even in the most ostensibly obvious lines: "Did I fall or was I pushed?" He also continually plays with concepts of inclusion (community) and alienation, setting "I'm coming home / To make it alright / So dry your eyes" against lines like "Can you see me when I'm running / Away." The song's title and lyrics suggest a connection to David Kelly, the British Ministry of Defence member and weapons inspector in Iraq who was found dead after having apparently committed suicide at Harrowdown Hill. Despite the obvious link to Kelly, the song succeeds on lyrics that remain ambiguous even as they provoke anxiety and frustration. Another song with a political title, "Atoms for Peace" (taken from an Eisenhower speech), epitomizes the way the album functions. It has simple glitch production, a moderate sense of displacement (talk of "flying saucers" and "wormholes"), an emotional recovery, and a memorable lyric with a twist: "No more talk about the old days -- it's time for something great." Yorke resists nostalgia, limits his optimism, and never overdoes anything, yet he still insists on the potential for positive outcomes. The music stays in the background, and the synths shift in a tone approaching ambience. With Yorke's vocal at the front of the mix, he gives himself an exposed position that influences the song's feeling almost as much as the actual performance or content. Slight, but carrying a fair amount of weight, The Eraser isn't a masterpiece, but it's much more than solo-project divergence. Yorke has stayed focused and created a tight album that draws on its predecessors without being held to or afraid of them. With a singular vision well-executed, Yorke has proven himself more than a little special.